How high above sea level is the High Street? 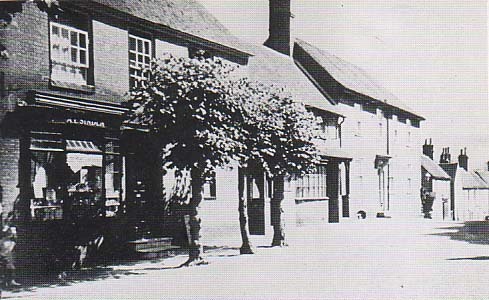 Now a private home, The Limes at the top of the High Street was from 1927 until 1954, a pharmacy run by Alfred Sinden and his wife Mabel. Their children Joy, Donald and Leon grew up here. Joy was well known as a mime artist and the boys both became actors. Mrs Sinden was the daughter of a surveyor who advised them when converting the front room to a shop, to simply remove the sash frame and have a shop window made to fit over the original aperture. When the shop closed, the original window was restored without damage. At the bottom left of the front elevation, there is a bench mark used by the Ordnance Survey to fix that you are now 222.63 ft (67.86m) above sea level.